The WAICU Diversity Conference included workshops for the participants, all of which were held in the Diversity Center. 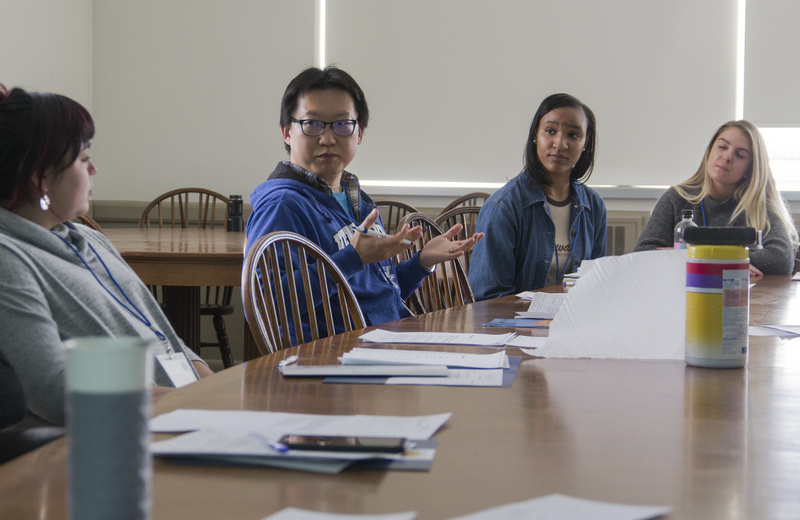 Collaborating to promote diversity on college campuses, Lawrence University hosted the Wisconsin Association of Independent Colleges and Universities (WAICU) for a conference last weekend. This was the first time the WAICU Diversity Conference, which is in its 9th year of existence, was hosted by Lawrence. It was attended by around 115 students and faculty from colleges all around the state. The conference featured events spread across last Friday and Saturday. On Friday, attendees checked in at the Diversity Center for dinner and a meet-and-greet. Afterwards, they were treated to a performance in the Lawrence Memorial Chapel by the Lawrence choirs and orchestra, which was described by the conference’s program as “an important musical work by the African-American composer Dr. Adolphus Hailstork that speaks to African-American themes.” This was followed by a student-led open mic night and a “Late Evening Option” in the VR. Saturday held the bulk of the activities. Welcoming remarks were made by Vice President for Diversity and Inclusion Dr. Kimberly Barrett and Vice President Chris Card. Afterwards, the attendees heard from the much-anticipated keynote speaker Dr. Omobolade Delano-Oriaran of St. Norbert College. Dr. Delano-Oriaran is an associate director professor of education and director of the Global Student Teaching program at that institution. Her work has been instrumental to the promotion of diversity in higher education. 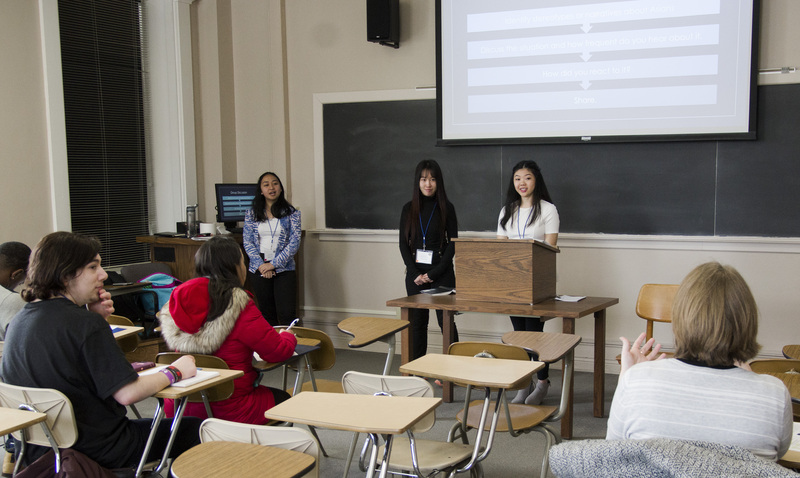 The afternoon was focused on workshops for the participants, which were often created and led by Lawrence students themselves. Pa Lee Moua, the Associate Dean of Students for Diversity, explained that because of this, the conference was a great opportunity for students to present a workshop on a specific area of diversity that interested them, and felt a need for discussion. WAICU is an organization comprised of 24 “private, non-profit” colleges across Wisconsin. Other than Lawrence, institutions like Marquette University and St. Norbert College are counted among its members. According to the organization’s website, WAICU’s mission is to promote educational opportunity for students. This mission is not limited to diversity issues, but is certainly intersected by them. For many at the conference, making education opportunities equitable is a deeper issue than simply increasing the percentage of non-white students at a given school. There are often disproportional obstacles for students from marginalized communities, which can affect retention and graduation rates, level of student engagement, and academic success. The conference was organized by Pa Lee Moua and Diversity Center Coordinator Chris Vue, with the invaluable assistance provided by a number of Lawrence students. This year’s theme was “Intentional Connections,” which references the opportunities for networking, collaboration, and problem solving that the WAICU Diversity Conference can create. Moua said that this year’s conference “exceeded the bar” with a record for the most attendees at the conference since its inception. This feat was made even more impressive given that the Diversity Center is only a two person department.